Surveillance With My Mother — the “Look-Out” | Just Me With . . .
I’ve said it before, I’ll say it again: at some point in our lives, we find ourselves in the bushes in some sort of surveillance situation. I know, with all the electronic information gathering capabilities we don’t have to drive by a boyfriend’s house anymore, we can check his Facebook wall and see what he’s up to and who he’s up under. Still, sometimes a girl needs more. My divorce was nasty. At one point there was a War of the Roses situation. If you don’t know the reference, it was a movie where there was a wealthy couple going through a contentious divorce. The children were grown and gone and the couple was arguing over, among other things, the substantial, valuable marital home that had been painstakingly restored by the wife while the husband concentrated on his career, which flourished. During the separation the husband, upon advice of his counsel, moved back into the family home while his wife was still living there. Comedy, drama, wreckage and bloodshed ensued. Needless to say, it is a dark, black comedy. Well, without going into all the sad details of my situation, though we’d been separated for a couple of years, my husband’s attorney advised him to move back into the house, without my invitation or permission. Unlike War of the Roses, though, we weren’t wealthy, and our kids were young and living right there — so to me, this was unforgivable. The fact was, however, the home was marital property and we were still married. Absent physical abuse I could do nothing except file civil motions to get him out, which would take weeks. In the meantime, I suspected my husband was still keeping his apartment and his moving in with us was harassment, not a necessity, a fact that may become important in the upcoming hearings. Any evidence I could get of this might prove helpful, especially since he had stated in legal filings that he still lived “at home.” Perjury, anyone? Well, during our War of the Roses, or as I sometimes called it, the “Home Invasion” — ooh I guess now I could call it “Occupy Wisteria Lane” or something . . . but I digress . . . I had already noted that he never showered at our house and only brought one small suitcase. His other stuff must be somewhere, he must be showering somewhere. Also, he usually drove a company car to work and left his car at his apartment. However, during the home invasion he never left his car at the house during the day (probably afraid that something would happen to it) so I suspected he was leaving the car at his apartment. I needed to document this. I could do this myself, I thought. Call it frugal, call it broke, but I wasn’t going to pay a private investigator or my lawyer for simple evidence gathering. Get pictures of his car at his apartment complex. Simple. I needed to visit his apartment complex while he was at work — and I needed a partner– a lookout, if you will, to assist me. Enter: My seventy something mother. She was willing, yet justifiably skittish. We drove together under cover of darkness — wait, no we didn’t, it was a beautiful bright Spring day. The apartment complex wasn’t gated so I could just drive in. It was a swanky place, there were always landscapers working, keeping the grounds perfectly manicured. This was a complex primarily occupied by single professionals or child-free professional couples. It had a pool, a gym, a sauna, a recreation room . . . grrrr . . . . but I digress. I drove closer to his apartment, and . . . I saw his car! I pulled over and parked a safe distance away and started taking pictures, but I couldn’t get a good enough picture of his car which also showed the apartment building. I’d have to get out. My mother and I sunk down in our seats while I thought. I also pretended to talk on my phone. An excellent cover, by the way. We didn’t look so out-of-place sitting in the car if I was on the phone. Back to the problem. I had concerns: What if the car was there because he’s actually home and not at work? What if he pops “home” during the day. I mean I didn’t know his schedule anymore — he was my estranged husband for goodness sake even though we were kind of living together. But, I reasoned, I was there, might as well go for it. I reminded myself that this man, after leaving me — and leaving me a mess, simply moved back “home” as a legal maneuver. Yeah, I was going to do this. “Why not?” I thought. “I still have a car key, it’s marital property — just like the house. If he can move in our house, I can get in our car! There might be something helpful and I can take more pictures without calling attention to myself.” In hindsight, it really didn’t matter if I had been seen by him or anyone else. I wasn’t trespassing and I was getting in my own car. And even if my husband saw me? Whatever. I was in public. What was he going to do? Plus, I could take a picture of him at his place. Still, I’d rather not have been seen. Back to the plan. I instructed my mom, “I need you to be my lookout. Look around when I’m gone, if you see him come out of the apartment or see his company car driving in, call my cell.” I cued up my number so she’d be ready. I was fully prepared to run and dive behind some of the perfectly manicured shrubbery– if necessary. Clearly I had seen too many of the various Law and Orders, CSI, NCIS, The Fugitive and all the Bourne movies. I walked — all casual like — down the path. I took some beautiful pictures of his (I mean “our”) car in front of his very cool apartment complex, showing his apartment door in the background. I think I even got pictures of his bicycle on his apartment balcony. The date and time would show up on the pictures, and I had a witness — also known as my mom. The next part of my plan was to get in the car — there could be something with his actual address on it, plus I needed pictures of the empty back of the car, showing he was not keeping his worldly possessions there. My car key was already in my hand and ready. I got in — all casual like. Meanwhile . . . my mom was freaking out. She called my oldest sister, who called her grown children. The word was out: Grandmom was on a surveillance and evidence gathering assignment. The responses were all over the place. We didn’t tell my Dad. Guys don’t need to know everything. Meanwhile, I was in — the car, that is. I quickly got what I needed: pictures of a car which was free of personal belongings, a utility bill in his name showing he was still paying the electric bill to his apartment, and a bank statement, which showed that he had money, and that he was giving some money to his ex? girlfriend. I didn’t take a thing, leaving with nothing but the photographs in my camera. I emerged from his (I mean “our“ ) car — all casual like — and strolled back into my (I mean “our” other) car. I drove off slowly, trying desperately not to call attention to myself at this hip apartment complex. I was determined to blend — in my beat up old minivan, with a nervous and mumbling old lady at my side. Whatever, mission accomplished. I had the goods. And in the process, I had turned out my own mother — she was now a common look-out for her daughter’s questionable –but perfectly legal –evidence gathering activity. Just Me With . . . a camera and a plan — all casual like — and a mom. 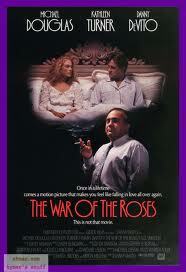 If you’ve never seen it, you should check out War of the Roses. It’s a disturbingly enjoyable movie. I’ve experienced both — with the same guy. Thanks, next time I’ll have a posse!!! It’s terrible, the things we endure during a bad divorce. My ex stayed in the house for months as well. I don’t think I slept the entire time. Ugh. Definitely not restful times. I love that movie…or any movie with Michael Douglas! Yeah, she is a bad a**! Just call us Thelma and Louise!!!! Wow! I really dig your mom. My mom would have done the same thing. She’s done some pretty crazy stuff for me already, but she would be totally down for this. There’s nothing like not sleeping when your ex won’t leave the damn house is there! Here’s hoping we’re all sleeping well these days or at least without the ex under the same roof. Go you! My husband reminded me yesterday that I really can’t keep him from living here. But I think the look I gave him scared him way for a while. haha! Wow! Great post! While I was reading, I couldn’t help but have my brain play spy music behind it! 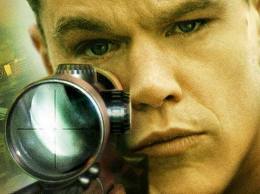 Thanks, if so many people didn’t find music on blogs annoying I would have had spy music as a soundtrack. Glad to hear you auto-filled it for me. Hmmm, interesting post! Not a topic that I would ordinarily read, but I like your story-telling ability….good luck with the rest of the documenting! Yes, still your car! Brilliant!